From dawn to an hour after sunset, our trails are open to the public. 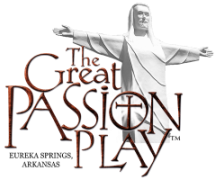 Especially designed for mountain bikers, these trails will let you experience the beauty of the Ozarks and the grounds of The Great Passion Play. Over 5 miles of the trail system has already been developed and about 15 more miles are currently under construction!